Good news! RateSetter has brought back its £100 bonus for investors who put away just £1,000 for a year. To get the bonus, follow my links to RateSetter  in this article. I will also be paid a bonus by RateSetter if you sign up via one of these ‘refer a friend’ links to claim your £100 bonus. This doesn’t affect your returns – it is paid by RateSetter . But in this article I’ll explain how you can effectively get a 14% return on a chunk of your cash by taking advantage of a bonus offer from RateSetter , the peer-to-peer lender. Not a few Monevator readers have taken advantage of this win-win RateSetter  offer over the past couple of years! RateSetter  is one of the new breed of peer-to-peer lenders aiming to cut out the banks by acting as a matchmaker between ordinary savers and borrowers like you and me. The Provision Fund would reduce in value as it reimburses investors for missed payments. The Provision Fund is large enough to cover credit losses up to 116% of expected losses. 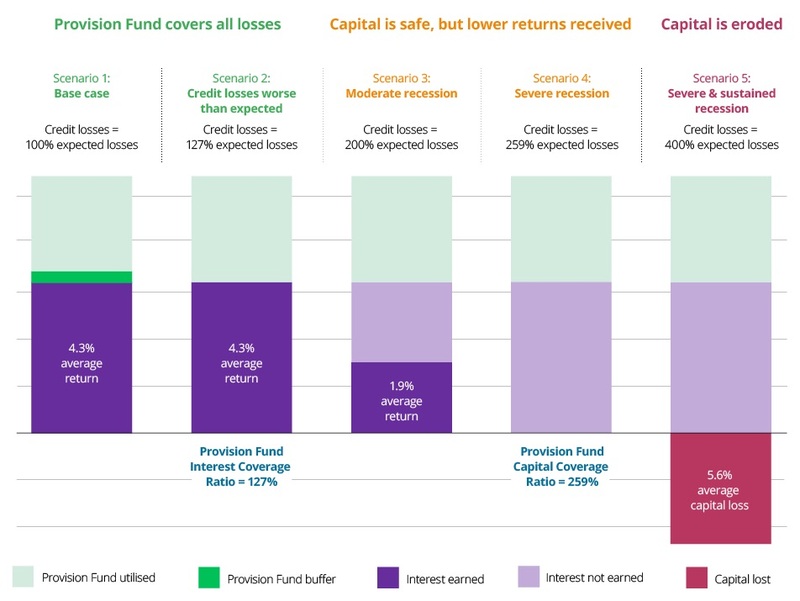 If credit losses rose above this level, the Provision Fund would be depleted and investors would earn less interest than they expected, but their capital would be unaffected. If credit losses rose even further and exceeded 231% of expected loses, investors would start to lose capital, which means that they would get back less money than they put in. In this instance, it may take longer than expected for investors to receive their money back and access to funds may be restricted. RateSetter is currently offering a £100 bonus  to new customers who invest at least £1,000 in any of its markets and keep it there for a year. Clicking on any of the RateSetter  links in this article will take you directly to the sign-up page  for the £100 bonus. RateSetter  will hope many customers deposit more than £1,000 and ultimately prove profitable in the long-term. Obviously I don’t think that’s at all likely, otherwise I wouldn’t have put any money into RateSetter . But a hint of what might have gone wrong came in 2017, when the company intervened to restructure several businesses and cover repayments from one via its own funds. This prevented its bad loans from being defaulted to the Provision Fund. This decision to intervene reportedly2  delayed authorization from the FCA. It has subsequently been granted. For instance, I have used both RateSetter  and Zopa , I’ve invested a little in mini-bonds and retail bonds, I have money with NS&I, and I have taken advantage of high interest rates and cashback offers with accounts like Santander 1-2-3 to boost my returns. I’m not going to labour the point on risk further. Most peer-to-peer articles barely mention it, and I’ve devoted half this piece to it. Consider yourself warned, and read the company’s  extensive material if you want to know more. So there you have it – a hopefully even-handed assessment of the risk and reward potential of this £100 bonus offer from RateSetter . I do hope some of you found this article interesting and enjoy those bonus-boosted  returns.